The latest revelations by The Guardian newspaper showing that major UK banks are involved in money laundering will hardly surprise anyone. Only last year, parliament was told that London is the money laundering capital of the world, and that law enforcement is ‘exceptionally weak’. The finance industry in the UK and elsewhere has been very adept at making profits at almost any cost. Mis-selling financial products, tax dodging, interest rate-rigging and money laundering are all part of the almost normalised practices for increasing profits and appeasing stock markets and shareholders. Their executives collect their performance related pay and care little about any negative consequences for the financial system or the rest of society. Illicit financial flows are profitable for banks and a range of financial intermediaries, such as accountants, lawyers, estate agents, auctioneers and art dealers, who lubricate the flow and find home for the dirty money which finances terrorists, drug lords, and corruption, distorts competition and weakens society. After each revelation, there is the ritualistic promise by governments to get tough but little changes as they oscillate between regulation and deregulation, appeasing the finance industry (which also provides jobs for former senior politicians) and soothing public anxieties, reducing public expenditure and creating effective regulatory architecture. The UK regulatory system may look good on paper but has consistently failed. Anti-money laundering laws require banks to identify and verify the identity of their customers before opening a bank account – the process is commonly known as Know Your Customer (KYC) – but is ineffective. “has accepted responsibility for its criminal conduct and that of its employees … is being held accountable for stunning failures of oversight – and worse – that led the bank to permit narcotics traffickers and others to launder hundreds of millions of dollars through HSBC subsidiaries”. In 2015, the Swiss authorities fined HSBC 40 million Swiss francs (£28 million) for organisational deficiencies which allowed money laundering to take place. Stung by the US and other revelations and subsequent adverse publicity, the Financial Conduct Authority (FCA) promised an investigation, but by coincidence just a few weeks later Martin Wheatley, the FCA chief executive, found that his contract was not being renewed even though he had some ‘unfinished business’. Public anxieties about bankers’ malpractices were soothed with the promise that the FCA would investigate culture, pay and behaviour of staff in banking, rather than any specific cases, but that too was soon abandoned. 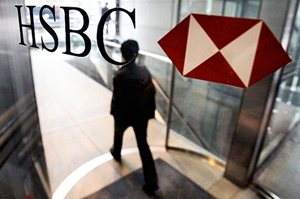 The information provided by a HSBC whistleblower showed that the bank’s Swiss branch may have assisted 3,600 UK tax evaders. Only one prosecution followed and last year HMRC abandoned its criminal investigation into the role of HSBC in alleged illegal activities. Last year, a US Senate report titled ‘Too Big to Jail’ said that the then Chancellor George Osborne wrote to the US authorities asking them to go easy because HSBC was too big to fail, (see page 14 of the report). The UK has a long history of covering-up the stench of financial malpractices and the contrived ineffectiveness of regulators makes London an attractive place for despots to stash their loot. Former Nigerian dictator General Sani Abacha stole millions and deposited them in western banks. Despite the KYC regulations, at least $1.3 billion went through 42 separate bank accounts in London. The UK government has failed the name the banks. Switzerland traced and returned some of the monies to Nigeria. The current Nigerian government says that ‘Britain was not doing enough to recover money that was stashed away’. And who can forget the case of the fraud-infested Bank of Credit and Commerce International (BCCI), the biggest banking fraud of the twentieth century, where money laundering was rife. The bank was shut down in July 1991, but to this day there has been no independent investigation. The UK government has gone to considerable length to conceal the identity of key players. Changing the UK political culture of is a necessary pre-condition to any effective challenge to money laundering, but the signs are not good as politicians think that cover-up and obfuscations is somehow beneficial to society. The regulation of illicit financial flows falls between HM Treasury, Home Office, Ministry of Justice and the Department of Business, Energy and Industrial Strategy. They can’t simultaneously act as regulators and defenders of the finance industry and its intermediaries. There are more than 27 separate regulators for the finance industry. These include the Financial Conduct Authority, the National Crime Agency, HMRC, the Serious Fraud Office, the Crown Prosecution Service, the Gambling Commission, the Insolvency Service, the Faculty Office of the Archbishop of Canterbury, and numerous professional bodies representing accountants and lawyers. There is no co-ordination or oversight and conflict of interests pervade the system. In this arcane arrangement accountants involved in money laundering are investigated by other accountants and none is keen to establish a benchmark which one day might be used against them. Despite strong court judgements, accountancy bodies have failed to act against the firms involved in money laundering. It is hard to see any effective reforms on the horizon. From personal experience I can confirm that the Insolvency Service is not fit for purpose. They appoint insolvency practitioners who completely ignore statute law such as the Onsolvency Act, they fail to compile reports as described in the IA for which they charge exorbitant fees. A court order for insolvency is as incumbent on the trustees/insolvency practitioners as it is on the insolvent entity. When this is brought up in court it appears that judges are more interested in who is paying the trustees exorbitant fees than on justice for the bankrupt/insolvent entity. The courts are also failing to demand that trustees/IPs comply with the IA to file reports with the court and any reports they do furnish are seriously deficient in content and accountability. This goes as high as the Department for Business and Industrial Strategy whose secretariat are equally careless.